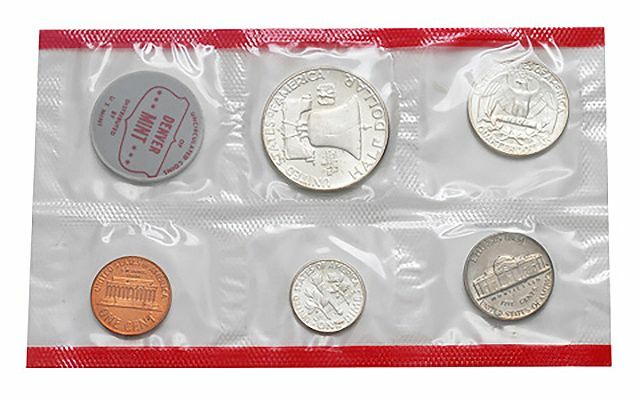 Sales of Mint Sets rose more than 50 percent in 1963 to a new record of over 600,000 sets. The presence of the last of the Franklin Half Dollars continues to entice collectors. 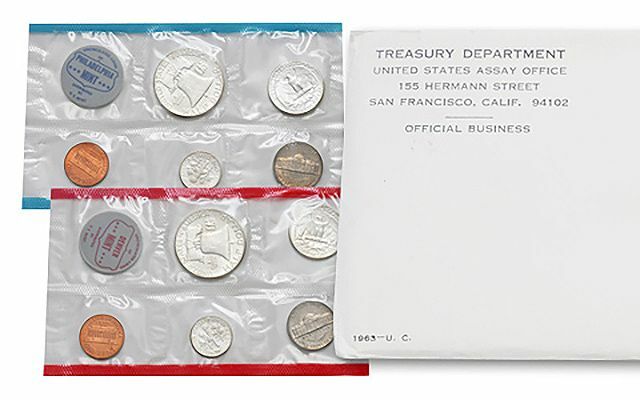 About the sets: The coins in the 1963 Mint Sets were Uncirculated pieces pulled from regular production runs, thus the quality of the individual coins varies wildly from set to set and even within a set. A scarce variety of the 1963-P Quarter features doubling of IN GOD WE TRUST and the date. Another rare variety has both a Doubled Die Obverse and a Doubled Die Reverse (check "IN GOD WE TRUST" on the front and "UNITED STATES OF AMERICA" on the back). 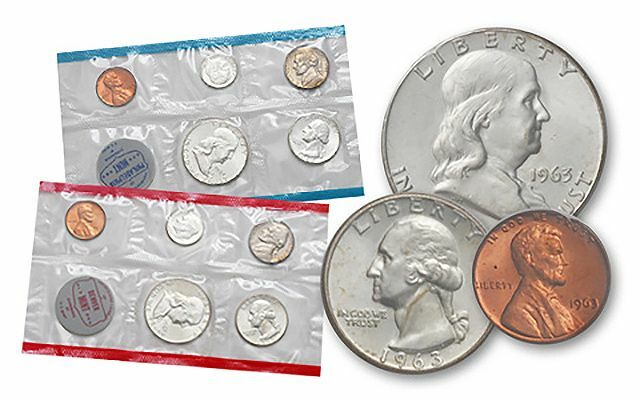 Original packaging: Pliofilm packaging, similar to Proof Sets. 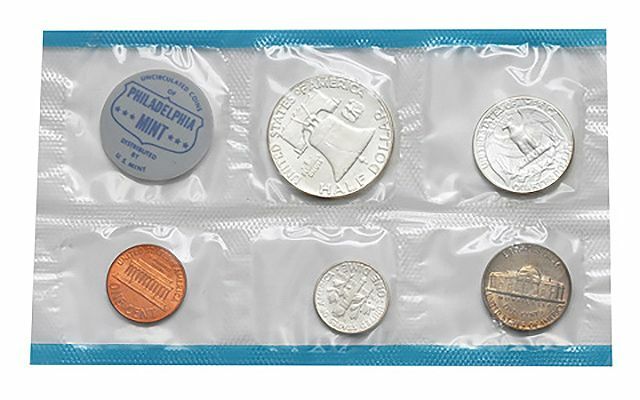 The five coins from the Philadelphia Mint were placed in individual compartments in one pliofilm pack; the five coins from the Denver Mint were placed in another. 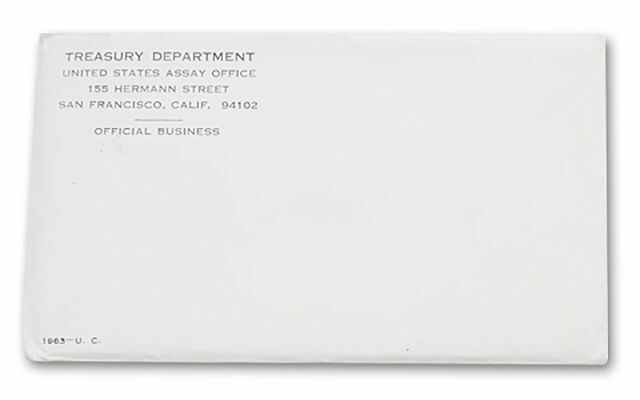 The two pliofilm packs were inserted, along with a card, into a mailing envelope for shipment to customers. Lee Harvey Oswald assassinated President John F. Kennedy in Dallas, Texas. Jack Ruby gunned down Oswald two days later. Martin Luther King, Jr. presented his vision of an ideal America with his I Have A Dream speech. California became America's most populous state. The cost of a First Class stamp rose from 4 Cents to 5 Cents. Pope John XXIII died and was succeeded by Pope Paul VI. Washington and Moscow establish a secure "hot-line" communication link to help prevent an accidental nuclear war.